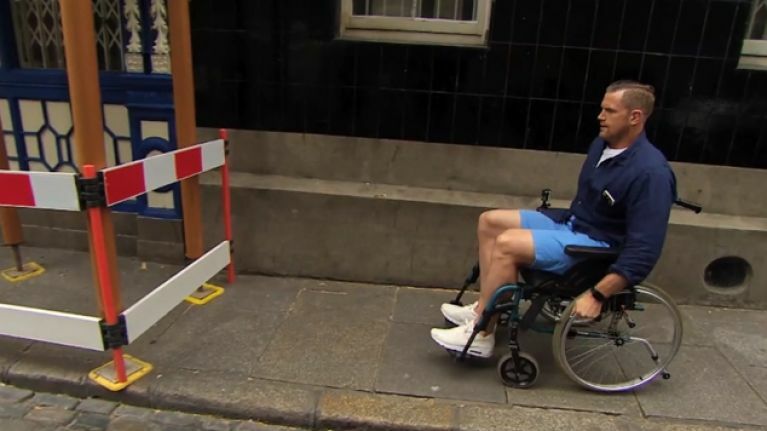 An upcoming TV3 documentary starring some major stars of Irish rugby is aiming to raise awareness around disability and wheelchair accessibility across Ireland. Rugby's Wheelchair Challenge sees Ireland vice-captain Jamie Heaslip, Munster full-back Felix Jones, and former internationals Shane Byrne and David Wallace travel from the Aviva Stadium to Thomond Park in Limerick using wheelchairs. The documentary airs this Friday night at 10.30pm and is narrated by Ger Gilroy, as the four sportsmen discover the difficulties around a lack of mobility. This one-off documentary was initiated by accessibility advocate and founder of goaccessible365.com, Stephen Cluskey. Stephen is a quadriplegic; confined to a wheelchair after an accident at the age of eighteen. The aim is to raise awareness about accessibility issues and in particular IRUPA’s Injured Rugby Player’s Fund. Rugby's Wheelchair Challenge Promo from Loosehorse on Vimeo.